There aren’t a lot of impact free agents available this winter, and it isn’t like the Dodgers need one. Well, unless you’re counting Shohei Ohtani and even then, it would be more of a luxury add. But one guy I have my sights set on is former Braves and Royals left-hander Mike Minor, and the Dodgers should, too. Minor, 30 next month, is coming off a season in which he posted a 2.55 ERA, 2.62 FIP, 28.7 K% and a 2.1 fWAR. He was an up-and-coming starter with the Braves through the 2013 season in which he posted a 3.21 ERA, 3.37 FIP, 22.1 K% and a 3.5 fWAR. Minor looked like he was ready to take off the next year, but shoulder soreness led to a poor 2014 season that saw him throw just 145 1/3 innings. Then before he even threw a pitch at the Major League level in 2015, he had season-ending shoulder surgery. Minor had a tear in his labrum, not uncommon to what Hyun-Jin Ryu went through, and that cost Minor the 2015 (and 2016) season. The Braves non-tendered him, which led to the the Royals taking a chance on him during the 2015-16 offseason by giving him a 2-year, $7.2 million deal with a third-year option for $10 million. The Royals gave him incentives, but they were all as a starter and he never made a single start for Kansas City, but he made his mark in their bullpen. With the Dodgers on the forefront of a potential starting pitcher revolution, they’d be wise to stock their bullpen with good, quality relievers capable of getting both-handed hitters out. Minor is just that kind of pitcher, partially because he has a starters’ repertoire. His fastball was slightly above-average as a starter, but it jumped nearly 3 MPH when he moved to the bullpen full-time, and he averaged 94.6 MPH on the pitch last season. Not only that, but Minor established a career-best in whiff percentage on the pitch — 11.3 percent. It was one of four pitches on which he had a double-digit whiff rate. Minor’s slider is his best offering, and he threw it to righties 30.4 percent of the time and it produced a 13.5 percent whiff rate. FanGraphs rated it 11.7 runs above average, just slightly ahead of trade deadline target Brad Hand (11.4) and slightly behind Greg Holland (12.0). For reference, Andrew Miller had baseball’s best slider by pitch value in baseball at 15.4. Minor also backs up his two best pitches with a solid changeup and curveball. His changeup is a weapon almost exclusively against righties — he threw 156 in all, and 148 of them were to righties — and he got swinging strikes on it almost 17 percent of the time. Minor’s curveball was his best pitch at getting swinging strikes — rate-wise. While he only threw it 8.1 percent of the time in 2017, he induced an 18.7 percent whiff rate. Overall, his swinging strike rate jumped 4.6 percent from his last game action in 2014. Minor’s splits are where you want them to be for a multi-inning reliever. He also recorded more than three outs 20 times in his 65 outings. All Minor’s pitches ticked up out of the bullpen. 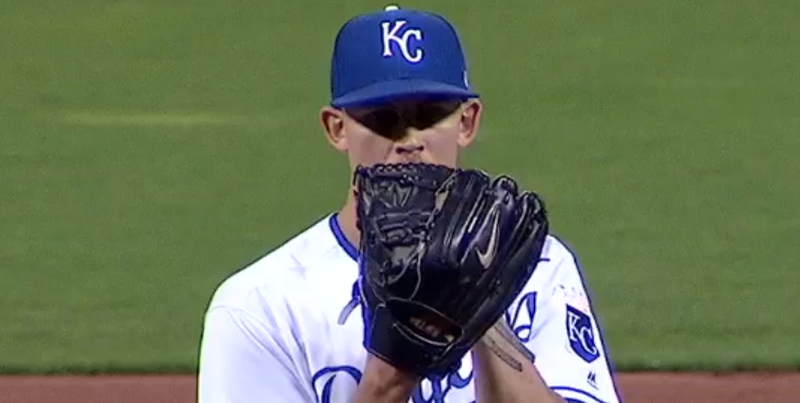 It’s often a term that gets thrown around liberally when a starter goes to the bullpen, but everything about Minor’s stuff definitely took a step forward. It might be a little unfair to include Jansen, but he, unsurprisingly, does a great job of limiting hard contact. And that’s a skill the Dodgers value in a pitcher. The Dodgers had a chance — kinda — to sign Miller three offseasons ago. He ended up getting a 4-year, $32 million deal. Chad was right to be concerned about the terms, but it looks like an absolute steal in hindsight. As it turns out, the Dodgers didn’t have much of a chance anyway because he wanted to stay on the eastern half of the country. Minor could be the Dodgers’ version of Miller. He’s not as good or accomplished as a reliever as Miller was when he hit free agency, so in theory, he shouldn’t require as much in terms of a contract. I gave him a 3-year, $24 million deal with a fourth-year option at $10 million ($1 million buyout) in my offseason plan, and I still think that might do the trick. I think it’d be a worthwhile gamble, even if it means going to four years. After sifting through the numbers, I’m seeing Watson’s name come up quite a bit, and he might be the more economical option. He’s still going to get paid and familiarity with the Dodgers/vice versa might play in his favor, but in a market that lacks a lot of impact talent, Minor has a chance to be one of those guys more than Watson. 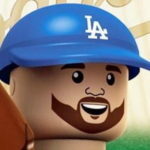 With Grant Dayton off to Atlanta (and there’s no telling if his 2016 was a fluke) and the lack impact lefties coming up through the system, adding Minor to the stable of already solid lefty relievers on the 40-man roster (Avilan, Tony Cingrani, Adam Liberatore, Edward Paredes) would go a long way to keeping one of baseball’s best bullpens just that.